It is good and right that a holiday be set aside each November for us to remember those who have served and sometimes died in defense of our country. There are few ways better to honor veterans and enjoy the day than a really good Veterans Day Parade. 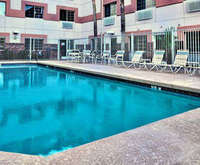 One of the best that you will find anyone is in the city of Tempe, Arizona. This is a popular and top-rated parade in the medium-sized city. The parade runs smack dab through the downtown sector of the city. It runs along from Mill Avenue to Tempe Beach Park. The parade is an eclectic collection of a vast variety of groups. You never know what you are going to see. There are some things that are absolute must from year to year: Veterans, high school bands, Boy Scouts, Girl Scouts, and, of course, important community members. One of these community members will sit as the Grand Marshal of the parade. It is usually the city mayor. However, the most important thing has remained to honor both living and deceased military men. That is why the veterans have remained the centerpiece of the parade. The Tempe Veterans Day Parade is known to have become a much-loved and hotly-anticipated tradition for local families. Do your family a favor. Take a trip to Tempe next November and begin a time-honored tradition of your own.